Stellar jets from a brown dwarf provide new support for the electric star model. A recent Thunderbolts Picture of the Day article discussed the emission of x-ray jets from what NASA scientists call a "neutron star." Such an observation was thought to be impossible, because only a black hole is theorized to have enough gravitational force for matter to be compressed and accelerated to such an extent. In order for that level of high-frequency electromagnetic radiation (EMR) to be produced, a gravitational acceleration close to the speed of light was thought to be necessary. But as we noted, the star Circinus X-1 has defied that requirement. Now, however, the paradox has reached the extreme. Scientists at the European Organization for Astronomical Research in the Southern Hemisphere (ESO) have announced the discovery of "outflow" from an object only 24 times the mass of Jupiter. "This leads us to the tantalizing prospect that young giant planets could also be associated with outflows," according to Emma Whelan and her colleagues. In conventional theory stars called, "brown dwarf" are unable to sustain thermonuclear fusion because they are too small. Because of that size limitation, the output from such low-powered stars is constrained by the relatively low gravitational field and should not be producing energetic EMR. Yet 2MASS1207-3932 is disobeying the rule. 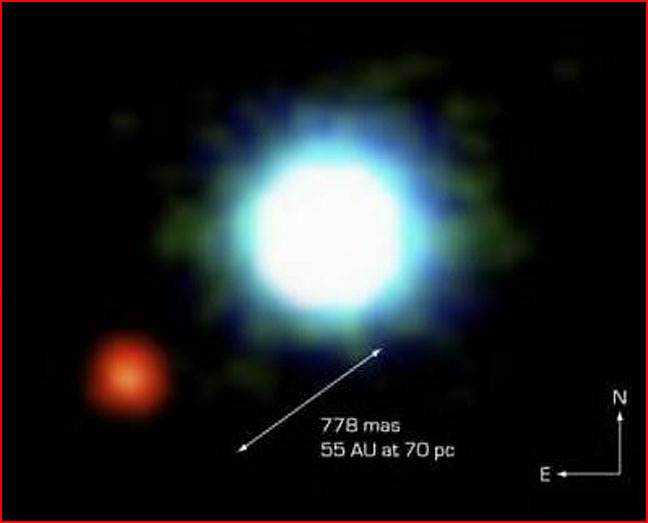 Although, in standard theory of stellar evolution it is not understood how any star produces jets of x-ray or gamma light, it is thought necessary for the star to be undergoing hydrogen fusion. Without the radiant emissions from such processes, no output should be created that extends several billion kilometers into space and that moves multiple kilometers per second. In the electric star hypothesis, however, radiant output is expected from the objects we observe. Whether they are in arc mode, glow mode or dark mode all objects in the universe are electrically connected to one another along circuits of current flow that permeate the cosmos. Orthodox astronomers report galactic clusters emitting jets of matter along invisible axes and galaxies, themselves jetting material hundreds of light-years outward from their poles. Super-compressed objects not precisely identified but mathematically quantified as "black holes" have jets; "neutron stars" have jets; and now, even brown dwarf stars have jets. 2M1207 demonstrates that there is no need to continually invent unsubstantiated theories to explain astrophysical phenomena. Its companion object suggests that the two are the outcome of stellar fissioning that often occurs when one object is experiencing too heavy an electrical input for it to maintain integrity as a single body. In that case, when the object splits electric current density is more uniformly distributed over a larger surface, thus establishing equilibrium with the galactic environment. 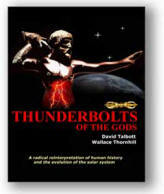 We have written in these pages many times about the reasonable viewpoint that electricity is causing the "mysterious" events reported by astronomers and space scientists. Electric currents heat and accelerate ionized gas to high speeds, exciting the plasma and generating intense magnetic fields. The EM field strength can produce "pinches" along those current filaments, forming plasma instabilities that emit ultra-violet, x-rays and other high-frequency radiation.